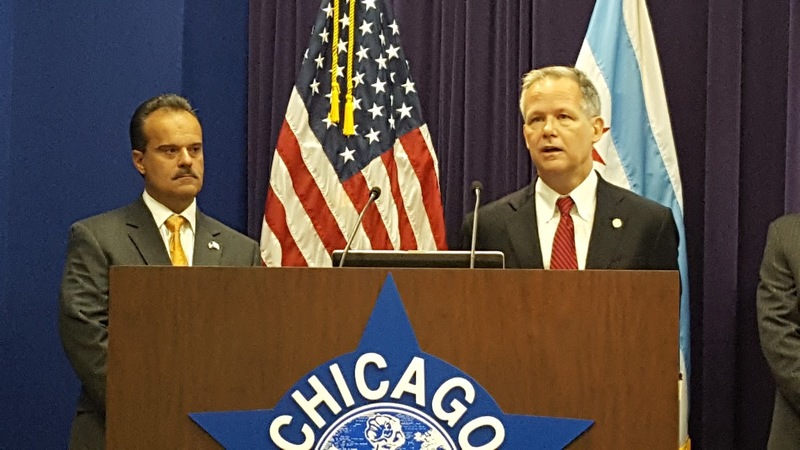 "The largest drug bust in Uptown in many years occurred over the last few days in the Sheridan Park area, with a total of 34 individuals who are in the process of indictment. Undercover officers were involved with drug buys over the last 6 weeks from these individuals who were arrested, which will make it much easier to obtain convictions. Click here to view CPD's press release. A special thanks to 19th Police District Commander Cesario, members of the Chicago Police Department, and the residents of Sheridan Park who continued to call 911 and participate in CAPS so that the police had enough information to carry out this operation. Yesterday, I contacted the Cook County State's Attorney's Office Community Justice Center to follow these arrests so that we can send a very clear message that drug dealing in this community will not be tolerated under any circumstances. I will also be working with the 19th Police District Court Advocacy to help organize residents to serve as court advocates when the court hearing date is set. Court Advocates send a clear message to the judge that the community is concerned about public safety and are focused on having justice served. Having community members as advocates at these hearings makes a big difference in the outcome of these cases. 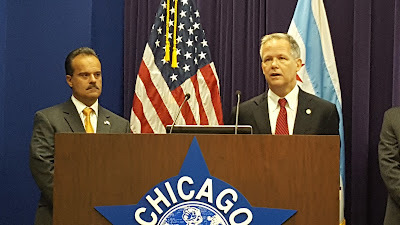 Please join me as a court advocate by calling the 19th Police District CAPS office at 312-744-0064. 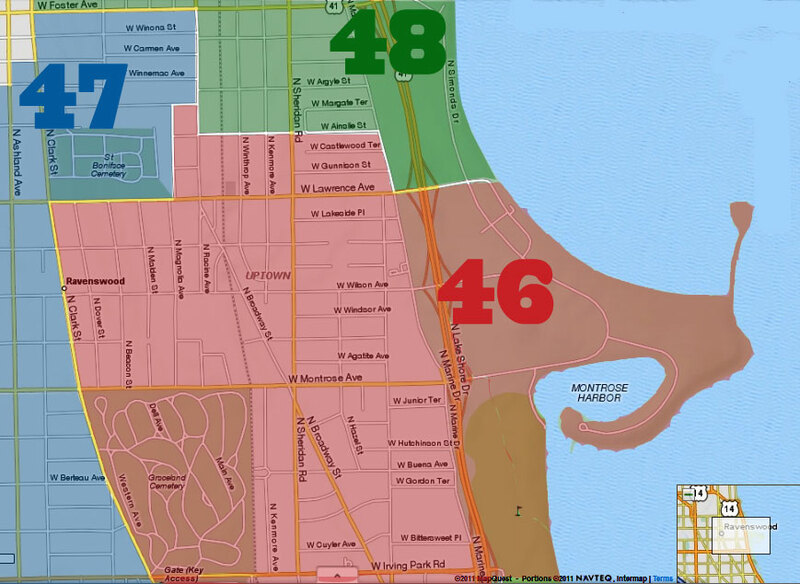 You can also help by attending a series of events throughout the July 4th weekend where community residents are welcomed to gather together for an ice cream social, police outdoor roll call, and positive loitering events in the Sheridan Park area. A special thanks to members of the Sheridan Park Neighbors who are helping to make some of these events happen. Click here to view the calendar of events." One gives his address as 4943 North Kenmore (Northmere SRO). Three give addresses outside of Uptown. We realize that many transient people don't actually live at the addresses they have on their identification, but use them as places to receive mail and get occasional services. This may very well be the case with the majority of the arrestees. But if any of them actually are clients of the social services whose addresses they claim, we hope the services step up their game and keep a closer eye on their clientele to keep them on the right side of the law. Great Job by CPD, not suprised Cappy is praising LEO, because in his eyes he had something to do with the investigation. However if they mess with him, he is first to bash them. I was shocked to learn that YOUNG rehabbers (alcohol, drugs) are placed in nursing homes. WTF? Are you kidding me. When they recover they go into nursing homes. I would imagine the older folks and the workers are scared to death of these young people. That could be why these gangbangers are listing nursing homes as their homes. Who the H*ll in the government has given drug and alcohol rehabbers the right to live in nursing homes? Am I misreading? 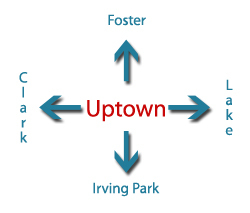 Only one of these are in Sheridan Park, which according to Wikipedia is "bounded by Lawrence Avenue on the north, Clark on the west, Montrose on the south and Broadway on the east". Sounds like this is a Buena Park and north on the lakeshore. Thank you CPD. This is a nice start. Keep up the good work. So they got rid of a bunch of low level street dealers. Now, how about getting rid of the drug stash houses where they store and get their supply? They aren't hard to find. Just watch the constant dealer foot and bike traffic back and forth to the building. For example, who can't still see the bikes rolling up and down the alley, back and forth to Voice of the People building on Clifton, i.e. just across the street from the Woodlawn Group scattered site housing management office? PJ may be gone but the drug supply is still there.